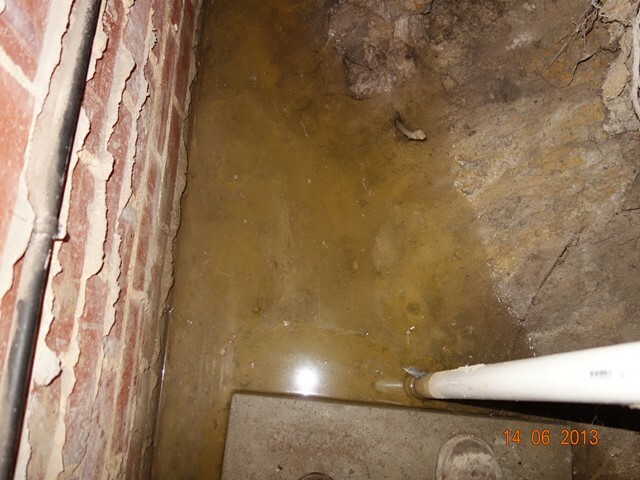 This above is a photograph taken by Mr Inspector, a qualified building inspector in Melbourne and shows excess water ponding under a home during a house inspection in Springvale South and considered a major structural defect. A few years ago a particular civil case between a vendor and a purchaser ended up in the Supreme Court. In summary, the purchaser had signed a contract to buy the vendors home subject to a building inspection with a “major structural fault” clause. The building inspector found damp similar to the photo above and the purchaser wanted to opt out of the purchase. The vendor argued that water ponding in the sub floor was not a structural defect. The Judge hearing the case basically made a finding that the water ponding under the home was not in itself a structural defect but if left as is, had the potential to cause a major structural defect. The end result of course was that the purchaser did not purchase the home. This portrays the importance of having Mr Inspector, a qualified building inspector in Melbourne, to carry out your building and pest inspections to locate defects that normally would not be picked up.